Introduction Magnesium (Mg) is strong, stiff, and lightweight, making it the most widely used element in engineered structures after iron and aluminum. Its strength and stiffness can be further improved when alloyed with aluminum. Nevertheless, bulk mechanical properties rely greatly on chemical composition and thermomechanical history, as these factors influence microstructure. This article discusses the application of nanoindentation to measure the properties of individual phases within a commercially available alloy, AZ 61. AZ 61 Magnesium Alloy AZ 61 contains aluminum (nominally 6%), zinc (nominally 1%), and other trace elements. Table 1 summarizes the chemical composition for AZ 61. The presence of zinc and other trace elements has little impact on the microstructure, and the phase diagram is used to deduce the composition of slowly cooled AZ 61. At 6% aluminum, the Mg-Al phase diagram deduces the interaction of two phases an phase that is Mg-rich and a phase comprising the intermetallic compound Al12Mg17. Table 1. Chemical composition of magnesium AZ 61 alloy . When the alloy cools from the liquid state, the phase starts solidifying at about 620C and the solidification process completes at 540C, at which point the material exists completely in the phase. The precipitation of the phase begins at around 300C and the mass fraction of this secondary phase keeps on increasing as the temperature continues to decrease. At temperatures less than 100C, the phase represents about 7.5% of the alloy. Instrumentation The Keysight Express Test option is used in this analysis due to its ability to achieve unprecedented testing speeds by implementing conventional indentation testing in an innovative way. Express Test carries out one complete indentation cycle per second, which includes approach, contact detection, load, unload, and movement to the next indentation site. Express Test can quantitatively map the elastic modulus and the hardness of a surface in a reasonable time. This quality is especially advantageous for analyzing multiphase metals like AZ 61. Magnesium Alloy AZ31B Technical Data Sheet AZ31B is a wrought magnesium alloy with good room-temperature strength and ductility combined with corrosion resistance and weldability. AZ31B finds application in wide variety of uses including aircraft fuselages, cell phone and laptop cases, speaker cones and concrete tools. AZ31B can be performed at elevated temperatures to produce a wide variety of intricate components for automotive uses. Petromet Flange Inc Is A Known Exporter And Distributor Of Mild Steel Plates, Which Has Some Excellent Features To Offer Such As On-time Completion, Execution In Tandem With Clients Detailed Guidelines, Flexible Execution, And More. We Offer The Finest Quality Of Ms Sheets Which Is The Most Sought After Sections By The Structural Engineers, Architects And Construction Companies All Over The World. Also, Owing To Our Extensive Years Of Industry Experience And Profound Market Understanding, We Are Providing A Wide Gamut Of These Mild Steel Sheets. We Offer The Same In Different Grades Such As Is 2062 Gr.a, Is 2062 Gr.b, Astm A36, Ss 400, Astm A283 Gr.c, Astm A285 Gr.c. Mild Steel Plates Asme Is 2062 Gr.a Mild Steel Cr Plates Stockholder, Astm A36 Mild Steel Hr Plates, Mild Steel A36 Hot Rolled Plates Dealer, Mild Steel Plates, Mild Steel Chequered Plates Supplier, Mild Steel Cold Rolled Plates, Leading Manufacturer Of Mild Steel Plates Exporter In India. 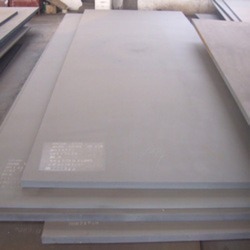 Mild Steel Astm A36 Shim Sheets Stockist, Astm A283 Mild Steel High Quality Plates, Astm A285 Gr.c Mild Steel Perforated Sheets Exporter, Mild Steel Plates, Mild Steel Sheet, Mild Steel Astm A283 Flat Plates, Asme Is 2062 Gr.a Mild Steel Coils Distributors, Mild Steel Strips Sheets, Mild Steel Cold Drawn Plates Manufacturer & Suppliers. Mild Steel (steel Containing A Small Percentage Of Carbon, Strong And Tough But Not Readily Tempered), Also Known As Plain-carbon Steel Plates, Is Now The Most Common Form Of Steel Because Its Price Is Relatively Low While It Provides Material Properties That Are Acceptable For Many Applications. Mild Steel Coils Is Less Brittle Than Stainless Steel. It Can Be Further Strengthened Through The Addition Of Carbon. Ms Coils Contains Less Than 0.25 Percent Carbon Which Makes It More Ductile And Less Hard Thus Rendering It Unsuitable For Structural Work. These Scrap Steel Plates We Trade And Export Have Supreme Quality, Accurate Construction, High Strength, Flawless Finish And Excellent Resistance To Corrosion. Scrap Steel Sheets Has A Relatively Low Tensile Strength, But It Is Cheap And Easy To Form; Surface Hardness Can Be Increased Through Carburizing. 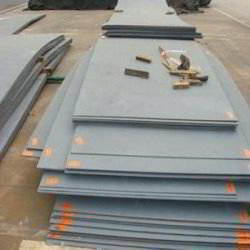 Buy Mild Steel Plates At Reasonable Price From Us. PETROMET FLANGE INC is A36Steel Plate stockholders and suppliers, delivering to the whole of the world.we are ISO 9001:2008 accredited and supplies A36Steel Plate to internationally approved quality standards for applications. 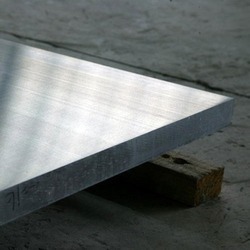 A36Steel Plate have excellent quality to fully satisfy customer’s requirements. The A36Steel Plate supplied by us are accepted by clients in various spheres of the industries ranging from basic industries such as Sugar, Paper, Textile, Dairy, Engineering to more complex such as Oil & Gas, Petrochemical, Chemical & Fertilizers, Power Generation and Nuclear Industries. PETROMET FLANGE INC specializes in A36 Steel Plate .With years of experience in manufacturing A36 Steel Plate we offer high quality, lower cost but the best service. As a result to that our export account today is in various countries like Saudi arabia, Kuwait, Qatar, Oman, Yemen, UAE, Iran, Turkey, Kazakhstan, Greece, Singapore, Thailand, Indonesia, Vietnam, South Africa,South America,Brazil, India, Australia, Egypt.We welcome your inquiries. 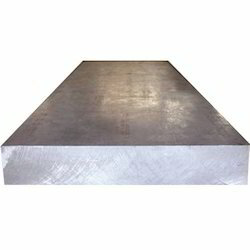 We offer high grade A36 Steel Plate at affordable price. These A36 Steel Plateare manufactured using finest grade raw material available to ensure international quality. 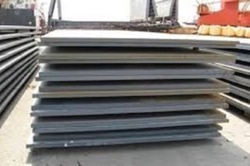 These A36 Steel Plate are available in different shape size and thickness according to the needs of our customer. Owing to highly experienced group of qualified professional and use of latest technology machinery, PETROMET FLANGE INC have supplied high quality A36 Steel Plate and profiles to customers throughout the worldwide. As well as being available from stock all A36 Steel Plate can be cut to size and shape according to your fabrication and design requirements and all work is governed by our independently accredited and regularly audited quality systems.Our A36 Steel Plate are sourced from the highest quality steel manufacturers in the world and, like all our suppliers, these manufacturers have been vetted and assessed by our procurement team. PETROMET FLANGE INC is a known exporter and manufacturer of ASTM A36 Mild Steel Plates, which has some excellent features to offer such as non-corrosive, sturdy construction, dimensional accuracy and more. 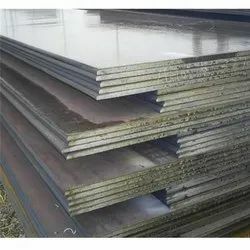 We are also counted among the reputed stockiest and supplier of ASTM A36 Mild Steel Sheets.Mild Steel ASTM A36 Plates We are as well widely engaged in offering a large assortment of ASTM A36 Mild Steel Coils to our valuable clients. With our main mission of customer satisfaction with superior quality products, we always deliver ASTM A36 MS Plates on time and at very competitive prices. Since it’s relatively inexpensive, ASTM A36 MS Sheets is useful for most projects requiring huge amounts of steel. ASTM A36 MS Coils does not have great structural strength, making it unsuitable for building girders or structural beams. ASME SA 36 Mild Steel Plates are used in heavy machinery, industrial boilers, wagon tippers, feeders, stackers, crushers, loaders, cranes, shipping industry and supporting frames for equipment used in metallurgical and other heavy industries. Corten Steel Sheets Sailcor has a number of first-rate features to provide such as corrosion-resistance, durability, sturdy structure and more. 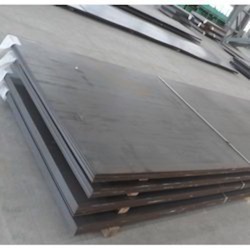 We provide our customer an outstanding quality array of Corten Steel Plates Sailcor which is factory-made from superior grade quality of raw materials. PETROMET FLANGE INC is a known trader and supplier of SS400 Plates, which has supreme quality, sturdy construction, high strength, flawless finish and excellent resistance to corrosion. We are one of the reliable companies in this domain and are into providing SS400 Plates. 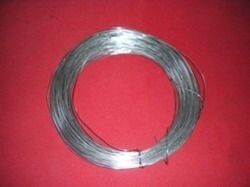 We are also the leading manufacturers and exporters of the industry, offering a wide array of SS400 Coils. We use the best quality of these SS400 Mild Steel Sheets in fabricating Aluminium Sheet. Mild Steel SS400 Plates Further, we execute this service in the assured time frame. SS400 Mild Steel Sheets are martensitic and steels that are not quite as corrosion resistant as the 300 series. However, the non-ferritic varieties will heat treat quite well with ordinary methods. mild Steel SS400 Plates Equivalent Grades STANDARD WERKSTOFF NR. 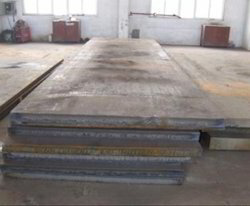 UNS MS SS400 St37-2 SS400 SS400 Mild Steel Plates. PETROMET FLANGE INC is a Chrome Moly Steel Plate stockholders and suppliers, delivering to the whole of the world.we are ISO 9001:2008 accredited and supplies Chrome Moly Steel Plate to internationally approved quality standards for applications. Chrome Moly Steel Plate have excellent quality to fully satisfy customer’s requirements. The Chrome Moly Steel Plate supplied by us are accepted by clients in various spheres of the industries ranging from basic industries such as Sugar, Paper, Textile, Dairy, Engineering to more complex such as Oil & Gas, Petrochemical, Chemical & Fertilizers, Power Generation and Nuclear Industries. PETROMET FLANGE INC specializes in Chrome Moly Steel Plate .With years of experience in manufacturing Chrome Moly Steel Plate we offer high quality, lower cost but the best service. As a result to that our export account today is in various countries like Saudi arabia, Kuwait, Qatar, Oman, Yemen, UAE, Iran, Turkey, Kazakhstan, Greece, Singapore, Thailand, Indonesia, Vietnam, South Africa,South America,Brazil, India, Australia, Egypt.We welcome your inquiries. We offer high grade Chrome Moly Steel Plate at affordable price. These Chrome Moly Steel Plateare manufactured using finest grade raw material available to ensure international quality. These Chrome Moly Steel Plate are available in different shape size and thickness according to the needs of our customer. Owing to highly experienced group of qualified professional and use of latest technology machinery, Triton Alloys Inc.have supplied high quality Chrome Moly Steel Plate and profiles to customers throughout the worldwide. As well as being available from stock all Chrome Moly Steel Plate can be cut to size and shape according to your fabrication and design requirements and all work is governed by our independently accredited and regularly audited quality systems.Our Chrome Moly Steel Plate are sourced from the highest quality steel manufacturers in the world and, like all our suppliers, these manufacturers have been vetted and assessed by our procurement team. 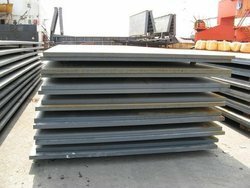 Hardox Abrex Swebor Tiscral Uttamhard Sumihard Sailma We are the prominent manufacturer, exporter, trader & supplier of a wide range of ABREX 400 Steel Plates. The offered steel plates are manufactured by using best quality materials under the observation of skilled professionals. These steel plates are accessible in numerous sizes & finishes as per the needs of customers. Our steel plates are tested by quality controllers on different parameters to make certain that we are delivering only flawless range to the clients as well. Features: Precisely engineered Rust proof High efficiency Application: Dump Truck Liners Cutting Edges Ripper Tyne Crusher Liner Plates Drag line Bucket Wear Liners Screen Plates - Chute Liners Conveyor Buckets Hoppers Ore Scrapers Specifications: Size : 5mm ~ 120 mm Width : Up to 3000 mm Length : Up to 12000 mm Other Details: The use of abrasion resistance ABREX steel plate markedly reduces the weight of structural members exposed to serve abrasive conditions. Compare with regular steel, ABREX steel plate reduces structural weight and delivers economic merits. Adoption of high performance abrasion resistant ABREX will prolong the service life of machinery and component. We maintain all the sizes and thickness of ABREX / SUMIHARD 400 & 500 from 03mm ~ 60mm thickness. Suppliers & Exporter of wide range of Hardox 500 ( Abrex 500 ) in Mumbai, India. These HARDOX 500 Plates is an abrasion resistant plate with a hardness of 500 HBW, intended for applications where demands are imposed on abrasion resistance in combination with good cold bending properties. These are available in verious specification & thickness as per the requirements of clients. These are easily available at economical price range in theMARKET. 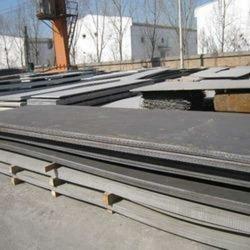 These steel plates are the widely used of the wear resistant grades. We make all the sizes and thickness of Hardox 500 Plates as per the clients requirements. We sell NEW, SURPLUS Abrex / Sumihard Plates our existing clients of Abrex / Sumihard Plates in India, UAE, Saudi Arabia, South Africa, USA (United States Of America), Malaysia, Singapore, Indonesia, Vietnam, Sri Lanka, Kuwait, Egypt, Netherland, Maxico, Italy any many more countries around the world call us that you are our Abrex / Sumihard Plates PROFESSIONALS, most of our clients says that we got the material in time, whenever we had urgent requirements of specific grades in Abrex / Sumihard Plates, 1) All Sizes, Quantities and Applications to meet out all Your Needs:because we have 3rd largest inventory of Abrex / Sumihard Plates in INDIA, UAE & Indonesia 2) No Automated Answering Machines Here : One On One Customer Service! 3) Central Location in the India for On Time Delivery Of Quality Products! 4) Quality Assurance Department : to Meet out Your Specifications! PETROMET FLANGE INC is a huge exporter of Alloy Steel 4140 Plates in countries like Kuwait, Bahrain, Iraq, Oman, Qatar, Saudi Arabiaand the United Arab Emirates (UAE), US, Singapore, Malaysia, Dubai, etc. Alloy Steel 4140 Plate Specification: Range : 5 mm To 100 mm thick in 1000 mm TO 2500 mm width & 2500 mm to 12500 mm Length available with NACE MR 01-75. Types : Sheet, Plates, Coils, Flat, Strips, Profile, Blank ,Circle, Ring etc. PETROMET FLANGE INC is a huge exporter of Alloy Steel 4340 Plates in countries like Kuwait, Bahrain, Iraq, Oman, Qatar, Saudi Arabiaand the United Arab Emirates (UAE), US, Singapore, Malaysia, Dubai, etc. Alloy Steel 4340 Plate Specification: Range : 5 mm To 100 mm thick in 1000 mm TO 2500 mm width & 2500 mm to 12500 mm Length available with NACE MR 01-75. Types : Sheet, Plates, Coils, Flat, Strips, Profile, Blank ,Circle, Ring etc. PETROMET FLANGE INC is a huge exporter of Alloy Steel 4130 Plates in countries like Kuwait, Bahrain, Iraq, Oman, Qatar, Saudi Arabiaand the United Arab Emirates (UAE), US, Singapore, Malaysia, Dubai, etc. Alloy Steel 4130 Sheet Specification: Range : 1 mm To 6mm thick in 1000 mm TO 2500 mm width & 2500 mm to 12500 mm Length available with NACE MR 01-75. Types : Sheet, Plates, Coils, Flat, Strips, Profile, Blank ,Circle, Ring etc. PETROMET FLANGE INC is indias largest stockiest, exporter & supplier of abrasion resistance steel plates - wear plates, hardox plates, wear resistant alloys PETROMET FLANGE INC stock abrasion resistant steel which is used every bit as a part of regions where there is prone to be a high degree of abrasion area or wear of the steel plate. Average applications are in truck couches, connections to diggers and earth movers and in preparing applications in the mining business. the key quality for wear resistant steels is their hardness. We offer wear plate as per its hardness measured on the brinnell hardness test- for the most part in 400hb evaluations. 400 hb steel is in excess of 3 times harder than soft steel (120hb), even only a third as strong as stainless steel (1250hb). Sample exercises are for development apparatus, skips, bulldozers and excavators, buckets and conveyors. steels with a high hb rating (briness hardness) are proposed for applications where wear or scraped area safety is critical. The profit of utilizing abrasion resistant steel is that the plant, apparatus or developments working life can be amplified extensively. This can fundamentally enhance the unwavering quality, toughness and well being of structures and gear. It additionally helps to diminish the support expenses connected with wear and breakdown of plant. the steel is extinguished which gives wear safety; to enhance hardness, it might also be tempered. Bring down hb's for the most part give great cool twisting properties and great weldability. Weldability is not, by and large lessened as the hardness increments. wear resistant steels are not fitting for utilization at temperatures in excess of 250 degree c as the hotness can result in changes to the material properties. yields for 400hb steel are in the region of 100mpa with tough qualities of around 1250mpa. it is not enrolled at universal standard affiliation, for example, astm jin, din so each one production has their brand name like hardox, sumihard, raex, jfe, xar, bis. We sell NEW, SURPLUS Abrex / Sumihard Plates our existing clients of Abrex / Sumihard Plates in India, UAE, Saudi Arabia, South Africa, USA (United States Of America), Malaysia, Singapore, Indonesia, Vietnam, Sri Lanka, Kuwait, Egypt, Netherland, Maxico, Italy any many more countries around the world call us that you are our Abrex / Sumihard Plates PROFESSIONALS, most of our clients says that we got the material in time, whenever we had urgent requirements of specific grades in Abrex / Sumihard Plates, 1) All Sizes, Quantities and Applications to meet out all Your Needs:because we have 3rd largest inventory of Abrex / Sumihard Plates in INDIA, UAE & Indonesia 2) No Automated Answering Machines Here : One On One Customer Service! 3) Central Location in the India for On Time Delivery Of Quality Products! 4) Quality Assurance Department : to Meet out Your Specifications! 5) Specialty Services include Welding, Cutting, Threading, & Painting to meet out Your Special Needs! 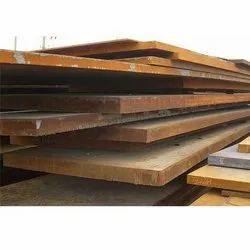 IS 2062 GRADE B PLATE SUPPLIERS, IS 2062 GRADE A, IS 2062 GRADE B, IS 2062 E250, IS 2062 E350, A36 STEEL PLATE, IS 2062 GRADE B MATERIAL SUPPLIERS MANUFACTURER, IMPORTER, STOCKIST, STOCKHOLDER, DISTRIBUTOR, SUPPLIERS AND EXPORTERS OF IS 2062 STEEL PLATE IN INDIA. 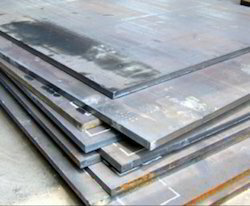 LARGE READY STOCK INVENTORY CERTIFIED TO IS 2062 CARBON STEEL PLATES IN WAREHOUSE AND PROCESSING FACILITY. MOST TRUSTED SUPPLIER OF IS 2062 STEEL PLATES, IS 2062 STEEL PLATES | IS 2062 MILD STEEL PLATE PETROMET FLANGE INC is IS 2062 Grade B Plate stockholders and suppliers, delivering to the whole of the world.we are ISO 9001:2008 accredited and supplies IS 2062 Grade B Plate to internationally approved quality standards for applications. IS 2062 Grade B Plate have excellent quality to fully satisfy customer’s requirements. The IS 2062 Grade B Plate supplied by us are accepted by clients in various spheres of the industries ranging from basic industries such as Sugar, Paper, Textile, Dairy, Engineering to more complex such as Oil & Gas, Petrochemical, Chemical & Fertilizers, Power Generation and Nuclear Industries. PETROMET FLANGE INC specializes in IS 2062 Grade B Plate .With years of experience in manufacturing IS 2062 Grade B Plate we offer high quality, lower cost but the best service. As a result to that our export account today is in various countries like Saudi arabia, Kuwait, Qatar, Oman, Yemen, UAE, Iran, Turkey, Kazakhstan, Greece, Singapore, Thailand, Indonesia, Vietnam, South Africa,South America,Brazil, India, Australia, Egypt.We welcome your inquiries. CHROME MOLY STEEL PLATE HomeChrome Moly Steel Chrome Moly Steel Grade Chrome Moly Steel Plate You Are Here -> Home ->Chrome Moly Steel-> Chrome Moly Steel Grade -> Chrome Moly Steel Plate CHROME MOLY STEEL PLATE SUPPLIERS CHROME MOLY STEEL PLATE STOCKISTS what is Chrome Moly Steel Plate ? Chrome Moly Steel Plate Grades and Specification Chrome Moly Steel Plate Processing Price of Chrome Moly Steel Plate Typical Application of Chrome Moly Steel Plate Chrome Moly Steel Plate Packing & Shipping Chrome Moly Steel Plate Inventory Chrome Moly Steel Plate Application Industries Available Plate Stock Our Global Network PETROMET FLANGE INC is a Chrome Moly Steel Plate stockholders and suppliers, delivering to the whole of the world.we are ISO 9001:2008 accredited and supplies Chrome Moly Steel Plate to internationally approved quality standards for applications. 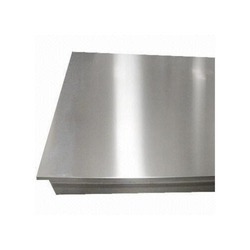 Chrome Moly Steel Plate have excellent quality to fully satisfy customer’s requirements. 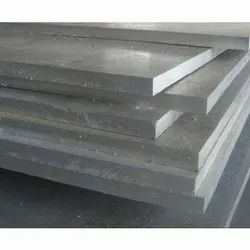 The Chrome Moly Steel Plate supplied by us are accepted by clients in various spheres of the industries ranging from basic industries such as Sugar, Paper, Textile, Dairy, Engineering to more complex such as Oil & Gas, Petrochemical, Chemical & Fertilizers, Power Generation and Nuclear Industries. PETROMET FLANGE INC specializes in Chrome Moly Steel Plate .With years of experience in manufacturing Chrome Moly Steel Plate we offer high quality, lower cost but the best service. As a result to that our export account today is in various countries like Saudi arabia, Kuwait, Qatar, Oman, Yemen, UAE, Iran, Turkey, Kazakhstan, Greece, Singapore, Thailand, Indonesia, Vietnam, South Africa,South America,Brazil, India, Australia, Egypt.We welcome your inquiries. We offer high grade Chrome Moly Steel Plateat affordable price. These Chrome Moly Steel Plateare manufactured using finest grade raw material available to ensure international quality. These Chrome Moly Steel Plate are available in different shape size and thickness according to the needs of our customer. Owing to highly experienced group of qualified professional and use of latest technology machinery, Triton Alloys Inc.have supplied high quality Chrome Moly Steel Plate and profiles to customers throughout the worldwide. As well as being available from stock all Chrome Moly Steel Plate can be cut to size and shape according to your fabrication and design requirements and all work is governed by our independently accredited and regularly audited quality systems.Our Chrome Moly Steel Plate are sourced from the highest quality steel manufacturers in the world and, like all our suppliers, these manufacturers have been vetted and assessed by our procurement team. PETROMET FLANGE INC is a A516 Grade 60 Steel Plate stockholders and suppliers, delivering to the whole of the world.we are ISO 9001:2008 accredited and supplies A516 Grade 60 Steel Plate to internationally approved quality standards for applications. 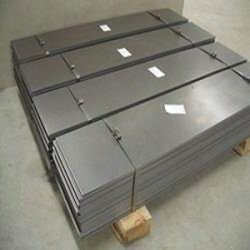 A516 Grade 60 Steel Plate have excellent quality to fully satisfy customer’s requirements. 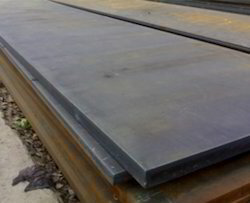 The A516 Grade 60 Steel Plate supplied by us are accepted by clients in various spheres of the industries ranging from basic industries such as Sugar, Paper, Textile, Dairy, Engineering to more complex such as Oil & Gas, Petrochemical, Chemical & Fertilizers, Power Generation and Nuclear Industries. PETROMET FLANGE INC specializes in A516 Grade 60 Steel Plate .With years of experience in manufacturing A516 Grade 60 Steel Plate we offer high quality, lower cost but the best service. As a result to that our export account today is in various countries like Saudi arabia, Kuwait, Qatar, Oman, Yemen, UAE, Iran, Turkey, Kazakhstan, Greece, Singapore, Thailand, Indonesia, Vietnam, South Africa,South America,Brazil, India, Australia, Egypt.We welcome your inquiries. We offer high grade A516 Grade 60 Steel Plateat affordable price. These A516 Grade 60 Steel Plateare manufactured using finest grade raw material available to ensure international quality. These A516 Grade 60 Steel Plate are available in different shape size and thickness according to the needs of our customer. Owing to highly experienced group of qualified professional and use of latest technology machinery, PETROMET FLANGE INC have supplied high quality A516 Grade 60 Steel Plate and profiles to customers throughout the worldwide. As well as being available from stock all A516 Grade 60 Steel Plate can be cut to size and shape according to your fabrication and design requirements and all work is governed by our independently accredited and regularly audited quality systems.Our A516 Grade 60 Steel Plate are sourced from the highest quality steel manufacturers in the world and, like all our suppliers, these manufacturers have been vetted and assessed by our procurement team. PETROMET FLANGE INC is a A516 Grade 65 Steel Plate stockholders and suppliers, delivering to the whole of the world.we are ISO 9001:2008 accredited and supplies A516 Grade 65 Steel Plate to internationally approved quality standards for applications. 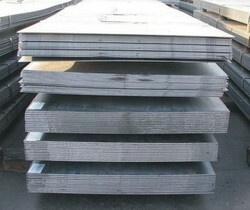 A516 Grade 65 Steel Plate have excellent quality to fully satisfy customer’s requirements. PETROMET FLANGE INC is a A516 Grade 70 Steel Plate stockholders and suppliers, delivering to the whole of the world.we are ISO 9001:2008 accredited and supplies A516 Grade 70 Steel Plate to internationally approved quality standards for applications. 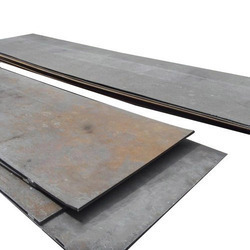 A516 Grade 70 Steel Plate have excellent quality to fully satisfy customer’s requirements. 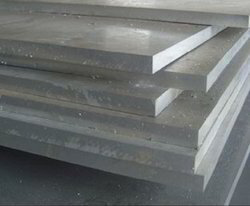 The A516 Grade 70 Steel Plate supplied by us are accepted by clients in various spheres of the industries ranging from basic industries such as Sugar, Paper, Textile, Dairy, Engineering to more complex such as Oil & Gas, Petrochemical, Chemical & Fertilizers, Power Generation and Nuclear Industries. PETROMET FLANGE INC . specializes in A516 Grade 70 Steel Plate .With years of experience in manufacturing A516 Grade 70 Steel Plate we offer high quality, lower cost but the best service. As a result to that our export account today is in various countries like Saudi arabia, Kuwait, Qatar, Oman, Yemen, UAE, Iran, Turkey, Kazakhstan, Greece, Singapore, Thailand, Indonesia, Vietnam, South Africa,South America,Brazil, India, Australia, Egypt.We welcome your inquiries. 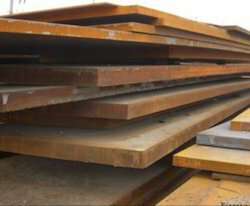 We offer high grade A516 Grade 70 Steel Plateat affordable price. These A516 Grade 70 Steel Plateare manufactured using finest grade raw material available to ensure international quality. These A516 Grade 70 Steel Plate are available in different shape size and thickness according to the needs of our customer. Owing to highly experienced group of qualified professional and use of latest technology machinery, PETROMET FLANGE INC have supplied high quality A516 Grade 70 Steel Plate and profiles to customers throughout the worldwide. OUR SALES ENGINEERS AND PROCUREMENT SPECIALISTS ARE AVAILABLE IN 28 COUNTRIES TO ADVISE ON THE BEST SOLUTION TO SUIT YOUR NEEDS. STRUCTURAL STEELS in accordance with SANS 50025 / EN 10025 – 2004 GENERAL DESCRIPTION These grades of steel are intended for structural work where no significant forming or bending must be done. These grades can be bolted, riveted and welded in a full range of structural and fabricated items including bridges, box girders, cranes and other general structural projects. The grade designations of SANS 50025 / EN10025-2 refer to the minimum yield strength of each grade for thicknesses less than or equal to 16mm. The steel should be selected in accordance with the strength requirements as shown in Table 2.The JR, J0 & J2 suffixes refer to different impact requirements. An average impact energy value of 27 Joules must be achieved on full size specimens in the longitudinal direction in all applicable cases. The suffix AR refers to the As-Rolled condition. If the material is normalised then this will be indicated by a '+N' appearing as a suffix. The SANS 50025 / EN10025 structural steel grades are all readily weldable by means of the usual metal arc processes. Table 1: Chemical composition (ladle analysis, %) as per SANS 50025 / EN 10025 Grade Max C content for t in mm Mn max Si max P max S max Cu2 max N 1 t≤16 >16 t≤ t>40 max S275JR 0,21 0,21 0,22 1,5 - 0,035 0,035 0,55 0,012 S355JR 0,24 0,24 0,24 1,6 0,55 0,035 0,035 0,55 0,012 S355J0 0,20 0,20 0,22 1,6 0,55 0,035 0,035 0,55 0,012 Notes 1. The maximum value for nitrogen does not apply if the chemical composition shows minimum total aluminium content of 0,020% or if sufficient other nitrogen binding elements are present. The nitrogen binding elements shall be mentioned in the inspection document. 2. Cu content above 0,4% may cause hot shortness during forming. Table 2. Mechanical properties as specified in SANS 50025 / EN 10025 Grade Yield (MPa) min Tensile (MPa) min Charpy V-notch longitudinal Strength at t = 16mm Temp (o C) Energy (J) t=16mm S275JR1 275 410 / 560 20 27 S355JR1 355 470 / 630 20 27 S355J0 355 470 / 630 0 27 Notes 1. Verification of the specified impact value is only carried out when agreed at the time of the enquiry and order. DIMENSIONS The plate mill can produce products from 5mm to 100mm thick depending on the grade. See thickness ranges in Plate Price List. The available dimensions for such plates are given in the data sheet: Plate Mill Product Dimensions (file reference A1.3). The hot strip mill can produce products from 1,6mm to 13,0mm thick depending on the grade. See thickness ranges in Hot Rolled Price List. The dimensions available are given in the data sheet: Hot Strip Mill Product Dimensions (file reference A1.1) TOLERANCES Material 6mm and thicker produced at the plate mill is supplied with dimensional tolerances in accordance with EN 10029. If not specified, tolerances will be according to “Class A”. Material produced on the hot strip mill is supplied with dimensional tolerances in accordance with EN 10051. SURFACE INSPECTION All plates manufactured through the plate mill are inspected and defects repaired in accordance with EN 10163-2: 1991 Class A Subclass 1, unless otherwise agreed. ULTRASONIC TESTING If specified at the time of order, ultrasonic testing shall be carried out in thickness ≥6,00mm in accordance with EN 10160. CERTIFICATION All material described in this data sheet is supplied with analysis and test certificates. WELDABILITY When welding thick plates, reference should be made to BS EN 1011-2:2001 “Welding – Recommendations for welding of metallic materials Part 2: Arc welding of ferritic steels”. Product Details: Material Grade: 70 Material: Steel Yield Min Mpa: 240 - 260 Tensile Mpa: 450-585 to 485-620 Elongation Min %: 17 to 19 Our ASTM A 516 GR 70 HIC Nace Tested are widely demanded in structural, mechanical and general engineering purposes. These plates are designed to withstand a tremendous amount of weights and pressure. Available in several specifications, our range can be easily installed. These plates can be availed at competitive price. In addition, we also offer quality carbon sheets that are available in different thickness & width. Standard : EN10025-2 Steel grade : S275JR, S275J0, S275J2, S235JR, S235J0, S235J2 Classification : Non-alloy structural steel Application : Non-alloy steel for structural purposes This are common mild steel/carbon steel plate for structural, manufacturing plant, machinery, mining equipment and Treatment of androgenic alopecia with Propeciavehicles, excavators, loader, bulldozers, crane, mining hydraulic supports, construction, power plant, sugar mill, palm oil mill, oil and gas, port equipments, fans, drilling rigs, power shovel and other structural parts. Heat analysis shall be used to determine the required chemical composition for carbon. Manganese, phosphorus, sulfur, silicon, and copper. Tensile strength, yield strength, and elongation shall be evaluated using tension test. 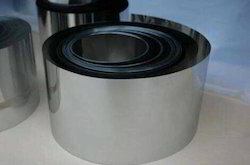 Nitronic Alloy Plates Manufacturer PETROMET FLANGE INC is a known manufacturer and exporter of Nitronic Alloys, which are recognized for their sturdy construction and dimensional accuracy in nature. We also offer the same in different grades such as NITRONIC 50, NITRONIC XM 19, NITRONIC 60, In tune by means of industry standard, we offer the entire range of this product in several made-to-order options and leading industry prices. Also, our collection of this product surpasses the international and national standards of safety and quality. Our presented product is reviewed by our quality supervisors to make sure in giving soaring durability. It is considered bearing in mind the necessity of the industry. They are extensively used in Multi-Storey Building, Industrial Buildings, Road Bridge compound manufacture, Ports and Harbour, Industrial structures Railways, Offshore Drilling Rigs and are as well furthermore to above-stated utilities.